Silicon (Si) is the second most abundant element after oxygen in soil, and plants grown in soil will contain some Si in their shoots ranging 0.1~10% of the dry weight. Although Si has not been recognized as an essential element for plant growth, its beneficial effects protecting from various biotic and abiotic stresses such as diseases, pests, nutrient imbalances, and physical stresses caused by typhoon, insufficient sunshine etc, are observed in a wide plant species. Si is especially important for healthy growth and high production of rice, which is able to accumulate Si to over 10% of its dry weight in the shoots. In fact, Si is an agronomically essential element and Si fertilizers are used in several countries including Japan. 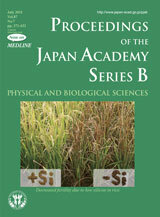 Cover photo shows the growth of wild-type rice (cv. 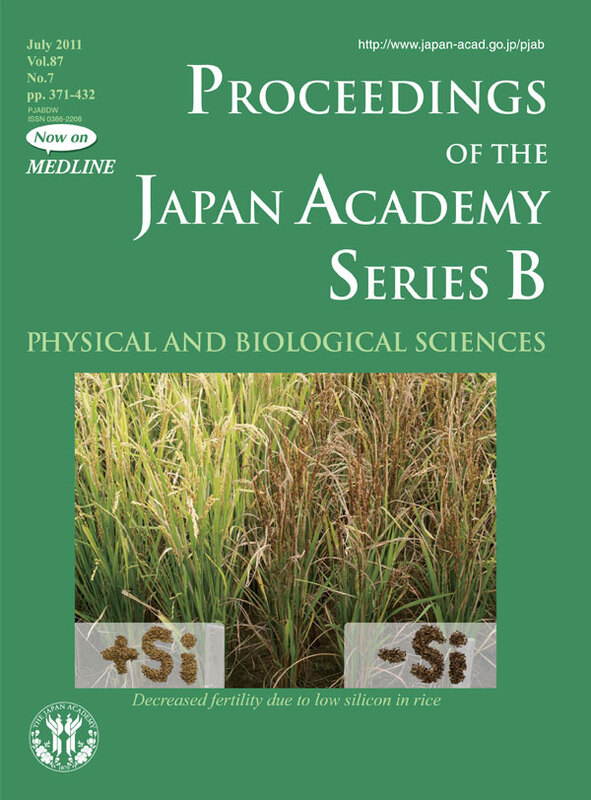 Nipponbare) and a mutant (lsi1) defective in Si uptake at harvest, indicating the marked effect of high Si accumulation on rice production in the paddy field. Grains are harvested from the wild-type rice (+Si) and mutant (-Si), respectively. Recently Dr. Ma and his group have made great progresses in elucidating Si transporter in rice and several other plants. They identified three different Si transporters in rice, maize, barley and pumpkin. By using rice mutants with low Si contents, the influx (Lsi1) and efflux (Lsi2) transporters were identified for the first time. Interestingly, these transporters showed distinct polar localization; Lsi1 at the distal side and Lsi2 at the proximal side of the same exodermis and endodermis cells in the root of rice. Different cellular localization of these Si transporters was observed in the different plant species, which explains the difference in distribution and accumulation of Si depending on the plant species. In addition to these, Lsi6 responsible for unloading of Si from xylem to the leaf blade was also identified in rice. These findings contribute to the better understanding of plant mineral uptake system, and the genes they identified may be useful for manipulating crops with increased Si uptake to improve tolerance to environmental stresses in future.